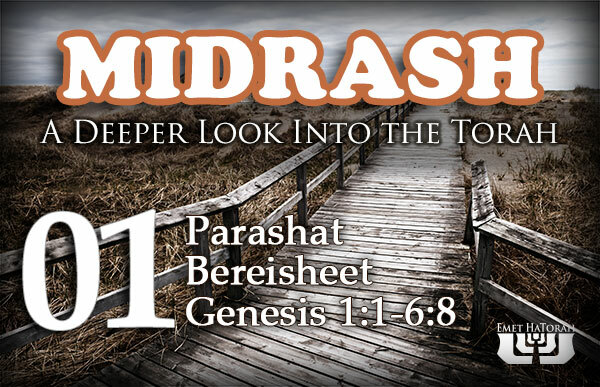 The Hebrew word “midrash” (מדרש) comes from the word darash (דרש), which means to “seek out.” Therefore, the midrash is a critical explanation or interpretation of the biblical text. Some of these are from the time before the birth of Yeshua and would have been known to Yeshua and his disciples. There are several allusions to these in the Apostolic Writings. The midrash can be thought of as a Bible commentary, an etymological dictionary and a collection of sermon illustrations all rolled into one. There are both halachic midrashim and aggadic midrashim. Halachic midrashem are focused on connecting halachah to their Scriptural support, whereas aggadic midrashim have no direction connection with halachah, but are focused on either the interpretation of the text through exegesis (such as linguistic examination and parables), or filling in gaps of the biblical narrative (such as the childhood of Abraham). There are several collections of aggadic midrashim, such as the Midrash Rabbah, Midrash HaGadol, Midrash Tanchuma, Seder Olam Rabbah, Pesikta de-Rav Kahana, Pesikta Rabbati, Pirkei de-Rabbi Eliezer. Halachic midrashim include works such as the Mekhilta (on Deuteronomy), Mekhilta de-Rabbi Yishmael (on Exodus), Mekhilta de-Rabbi Shimon bar Yohai (on Exodus), Sifra (on Leviticus), Sifre (on Numbers and Deuteronomy), and the Baraita of Rabbi Ishmael. This class will follow the weekly Torah Portion. Unless otherwise noted, our study will be taken primarily from the Midrash Rabbah.